Piccadilly Cafeteria is a part of Piccadilly Restaurants, Inc. They offer classic comfort food style cuisine in a cafeteria setting. They put a huge focus on home-style cooking that gives customers of the comfort of being at home eating, with all the benefits of eating out. For more information on the Piccadilly Cafeteria application, read on below. It was founded in 1944 by Tandy Hannibal Hamilton, who had decided to purchase the Piccadilly Cafeteria in Baton Rouge. Despite the fact that he had to work against the difficulties running a restaurant during WWII offer including the rationing of certain food items, his business became successful. He developed and tested his own recipes and offered them to all the restaurants to maintain consistency in the chain’s brand. There are currently around 60 cafeterias across 11 states. They are primarily located in the southern states, with a majority of establishments located in the Gulf Coast region. They are headquartered out of Baton Rouge, Louisiana. This company also offers food service to different locations including schools and businesses, which caters to the various needs of their clients. They also created the Piccadilly Emergency Service, which helps provide food during disaster relief situations. They have specialized technology that allows them to serve around 10,000 meals in three hours. They have most notably served after such disasters as Hurricanes Katrina and Rita. They have served over 500,000 meals to date, often serving at a moment’s notice. Piccadilly Cafeteria offers their food at a great price with great quality. They want to provide an environment where their guests feel like they’re at home. To do this, they need employees with fantastic interpersonal skills to offer food with a smile. If you think this describes you, apply today. Piccadilly Cafeteria offers advancement opportunities for their employees. They have a variety of positions available between the corporate office and restaurant level. 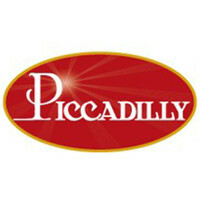 The restaurant level has entry-level positions so that employees can grow their jobs into Piccadilly Cafeteria careers. Some restaurant positions include cashier, dishwasher, assistant manager, and line cook. The corporate office has a wide variety of positions where job seekers of all skills and talents are able to find a position that is a match for them. While the corporate office does have some entry-level positions, most positions are higher level positions with more requirements to gain employment. Some positions at the corporate office are help desk, marketing, and human resources. The positions at this company will often have a variety of requirements depending on whether or not the positions are entry-level or higher. Some positions have little requirements for employment but others require experience and specialized education. How old do you have to be to work at Piccadilly Cafeteria? You must be at least 16 to work here. Piccadilly offers highly competitive benefits for their industry. Employee eligibility for benefits can be based upon hours worked weekly. Some benefits include medical and dental insurance, as well as long-term disability, short-term disability and life insurances. They also offer paid vacation, employee assistance, and vision plans. These are some of the benefits an employee may receive. The hours of operation can vary depending on location and holidays. There are holidays that require closures. If you would like more information, you can check your local restaurant for details. In general, hours of operation are Monday through Saturday from 6:30am to 10:00pm and Sunday from 10:00am to 8:00pm. Cashier- A cashier will handle customer transactions at the register. They will ensure that the counter area is clean at all times. A cashier is responsible for greeting the customers, and ensuring they have had a positive customer service experience, and will handle customer service issues. A cashier may earn around $8 per hour. Busser- A busser is responsible for clearing the tables of dirty dishes and tableware, bringing them into the kitchen to be cleaned. They will also clean the table of all trash, and clean the tables of any other mess. They will also maintain the dining area to ensure it is neat and organized at all times. A busser may earn around $8 per hour. Dishwasher- The dishwasher is responsible for cleaning all the dinner plates, glasses, tableware, and pans used during service. They must ensure that all items are cleaned properly before putting them away. Dishwasher must put items back in their proper spot. A dishwasher will also help clean the kitchen, including mopping. A dishwasher may earn around $8 per hour. General Manager- The general manager is responsible for ensuring the business is run according to company policies. They will make sure that the staff is properly trained to those policies. The general manager handles all matters related to their staff and will handle customer issues as they arise. A general manager may earn around $50,000 a year. Why do you want to work at Piccadilly Cafeteria? You may want to research this company to give a detailed answer. The interviewer wants to know if you are someone who truly embodies the Piccadilly spirit. Answer honestly about what has drawn you to this company. Are you willing to work nights and weekends? This company is looking for employees that have flexible availability and are willing to work during these busiest hours. Be honest about when you are available to work. Why should we hire you over the other candidates? The interviewer wants to know why you stand out. They want to pick the person that is most beneficial to their company. This is the perfect time to showcase your strengths and how the company could benefit from them. Is teamwork essential to success? The restaurant industry requires the staff to work together as a team to be successful. The interviewer wants to see your ability to work as part of a team. Describe why you feel teamwork is essential to success, and mention any time that you had to work as part of a team to accomplish a goal. What is your biggest weakness? The interviewer wants to see your ability to self-critique. Discuss honestly what you feel your biggest weakness and what you do to overcome it. In case you were wondering how to apply at Piccadilly Cafeteria, you can apply for a Piccadilly Cafeteria job at the corporate office by visiting Piccadilly Cafeteria jobs online and sending your resume to the email address as you cannot apply directly online. Otherwise, you need to visit the location to fill out an application. There are no printable applications online nor are there downloadable applications. There is no information about the job descriptions and responsibilities on the website. You may be able to contact the hiring manager to see if they will inform you of the qualities they are looking for. Be sure to fill out your application entirely, otherwise your application may not be considered. It is also a good idea to submit an updated resume. Normally, it does not take long for a hiring manager to contact you. If some time does pass with no word back, you should contact the restaurant to check the status of your application and to find out if they are still hiring for that position. If they are still hiring, this shows how serious you are about working here and will have an impact on the interviewer’s decision. You will want to prepare for the interview ahead of time. You will usually get a few days to prepare. Take this opportunity to practice potential interview questions in the mirror. This will be useful to help you be less nervous for your interview. You should also dress in a business casual manner. First impressions are huge, and will make or break your interview. Eat’n Park: For employment at Eat’n Park visit the application page. Fazoli’s: Checkout the application page for work at Fazoli’s. Bertucci’s: See our guide for careers at Bertucci’s. HomeTown Buffet: For career opportunities, fill out the HomeTown Buffet online application. Cracker Barrel: Visit the Cracker Barrel application.